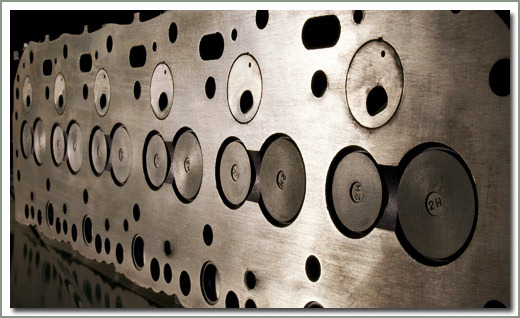 All reconditioned cylinder heads have been magna-fluxed to insure against cracks. Each head receives a complete valve job, new seals. When ordering please supply salesperson with the casting number on the top of your cylinder head. Fits 2/74-7/80 B diesel engine - Comes with pre-combustion chambers, no valves - Core charges assumes rebuildable head, if your head is cracked please call customer service. Fits 2/74-7/80 B diesel engine - Core charge assumes rebuildable head, if your head is cracked please call customer service. Fits 8/80-1/84 B diesel engine - Comes with pre-combustion chambers, no valves - Core charge assumes rebuildable head, if your head is cracked please call customer service. Fits 8/80-1/84 B diesel engine - Core charge assumes rebuildable head, if your head is cracked please call customer service. Fits 1/84-10/84 B diesel engine - Comes with pre-combustion chambers, no valves - Core charge assumes rebuildable head, if your head is cracked please call customer service. Fits 1/84-10/84 B diesel engine - Core charge assumes rebuildable head, if your head is cracked please call customer service. 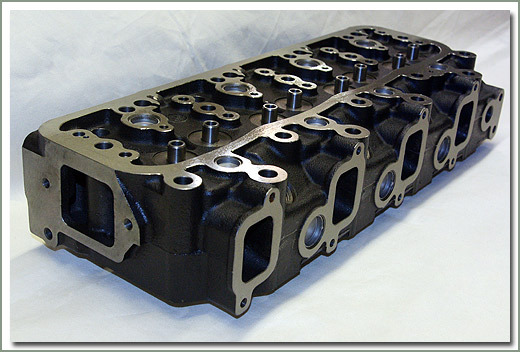 Fits 8/80-1/84 3B diesel engine - Updated head comes with pre-combustion chambers installed. Fits 8/80-1/84 3B diesel engine - Core charge assumes rebuildable head, if your head is cracked please call customer service. Fits 1/84-8/88 3B diesel engine - Updated head comes with pre-combustion chambers installed. Fits 1/84-8/88 3B diesel engine - Core charge assumes rebuildable head, if your head is cracked please call customer service. 8/88 & later with UPDATED 3BII motor - Updated head comes with pre-combustion chambers installed. Fits 4/72-6/73 H diesel engine - Core charge assumes rebuildable head, if your head is cracked please call customer service. Fits 6/73-7/80 H diesel engine - Core charge assumes rebuildable head, if your head is cracked please call customer service. Fits 8/80-8/88 2H diesel engine - Updated head comes with pre-combustion chambers installed - Core charge assumes rebuildable head, if your head is cracked please call customer service. Fits 8/80-8/88 2H diesel engine - Core charge assumes rebuildable head, if your head is cracked please call customer service. Fits 8/88-1/90 2H diesel engine - Updated head comes with pre-combustion chambers installed - Core charge assumes rebuildable head, if your head is cracked please call customer service. Fits 8/88-1/90 2H diesel engine - Core charge assumes rebuildable head, if your head is cracked please call customer service. Valve Train and Cam Assy. If you need to replace your timing belt, now is the time to also replace your water pump as it is tough to get to. Kit includes timing belt, pulley tensioner, waterpump and gasket. Fits 1/90-1/98 1HDT/1HZ diesel engines - Kit includes timing belt, tensioner pulley, water pump and gasket. This drawing partially represents the freeze plugs associated with Toyota diesel engines. Please see page 052 for head and block freeze plugs. This drawing partially represents the freeze plugs associated with Toyota diesel engines. Please see page 052 for head and block freeze plugs.